Do you have MSG in your food? 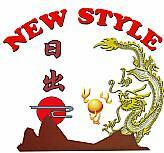 We started ordering food from New Style when there was one in Barberton. Kevin has always served up some great food I would order food from there at least 4 times a week and never had a bad meal I was unhappy when that one closed. Now when ever we get Chinese we drive to Wadsworth's New Style. Because of the travel it is not as often, but when it's Chinese food we want the place we go is New Style. We pass other Chinese restaurants on our way to Wadsworth but it is worth the travel. I have been eating Chinese food for over 50 years and all over this country and it is hard to find food as good as we get at New Style.In fact we are having guests over tonight and have just completed a list of food to order for tonight. Thanks to Kevin and his staff for the great food and even at his times he not to busy to say hi. Ordered "bourbon" chicken and got "pepper" chicken. When we called, they argued with us about what we ordered, so much for the concept of customer service. Sweet and sour sauce was watery and bland. Egg rolls were terrible, soggy and tasteless. Last visit was great, but this one will probably keep me from ever returning! I LOVE your online ordering! However, getting to this website is difficult. I somehow get routed to chinesemenu.com. Also, descriptions of the dished would be helpful - and also descriptions of the dishes featured in your photo gallery. At least the name of the dish! The food is solid and we love having another option with delivery instead of pizza. The new online ordering system is so convenient...with a million options for customizing.